Victoria Prentis won 30,749 votes (53%) in total, a majority of 18,395 over her closest opponent. She has succeeded fellow Conservative Sir Tony Baldry, who announced he was stepping down last year after first being elected in 1983. After the declaration she told a crowd at the count: “This constituency has been Conservative since 1922. I can’t tell you how relieved I am that we haven’t broken that record tonight. Turnout in the election overall was 65.84 per cent, an increase of about 1.1 per cent on 2010. Labour candidate Sean Woodcock came second with 12,354 votes (21.3%), followed by UKIP candidate Dickie Bird with 8,050 (13.9%), Liberal Democrat candidate John Howson with 3,440 (5.9%), Green candidate Ian Middleton with 2,686 (4.6%) and National Health Action Party candidate Roseanne Edwards with 729 (1.3%). Ms Prentis’ victory was not a surprise result. 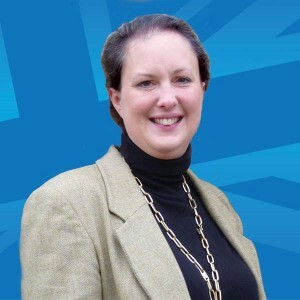 Banbury is considered a safe seat for the Conservatives and has been held by the party. Its previous MP, Sir Tony Baldry, had a majority of 18,227 votes in 2010. Mrs Prentis managed to increase that figure marginally, by 168 votes, an achievement she said she “never expected”. But Conservative party figures this morning still said they did not “take for granted” how much of Sir Tony’s majority Ms Prentis would carry over.